Welcome to Web home of DC Black Pride. We are elated to have you stop by and pay us a visit. Take a few mintues, hours, days, months, or years to explore our website to learn more about the Black Pride that started the Black Pride Movement. 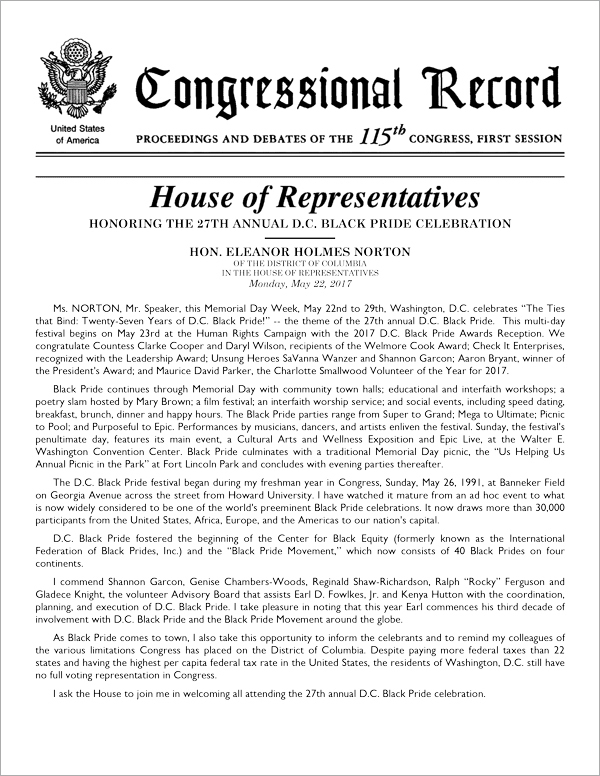 Since 1991, DC Black Pride (DCBP) has been held annually during Memorial Day Weekend in our nation's capital — Washington, D. C.
Year after year, more than 50,000 men and women from all over the world attend DCBP and experience the great culture and history of the Washington, DC area. Attendees have come to expect only quality social and non-social events. DCBP is the inspiration for numerous annual Black LGBT pride events in the United States, Canada, United Kingdom, Brazil, Africa and the Caribbean since its founding. 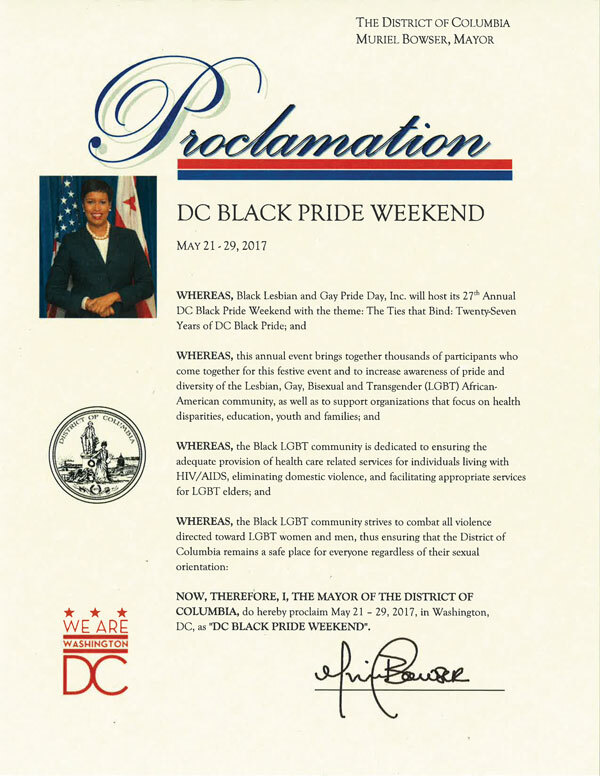 We look forward to seeing you May 26 through 29 for DC Black Pride 2017. This year's theme, The Ties that Bind: Twenty Seven Years of DC Black Pride, celebrates the strong bonds within the LGBT communitiy. Have questions? Get answers. Send us a message or contact a member of our staff.